The Nampa Chamber of Commerce encourages an “In Favor” vote on the May 15, 2018 City of Nampa Wastewater Revenue Bond election. The bottom line is that the City of Nampa has to undertake certain wastewater treatment improvements. The EPA has issued the City a permit; requirements are set. Three mayors, numerous council members, and a lot of staff, public, and businesses (including the Nampa Chamber) have weighed in on negotiating and disputing regulations, and ultimately on a plan of action for wastewater system upgrades to deal with requirements. The path forward has been set. This election is about how to fund that path and how such funding will impact the pocketbook of Nampa residents and businesses. An “in favor” (yes) vote on the revenue bond election will authorize the City to take on debt of $165 million, to be paid for only from wastewater rates, to pay for the required improvements. The bond allows the rate impacts to be moderated and “smoothed” over time. 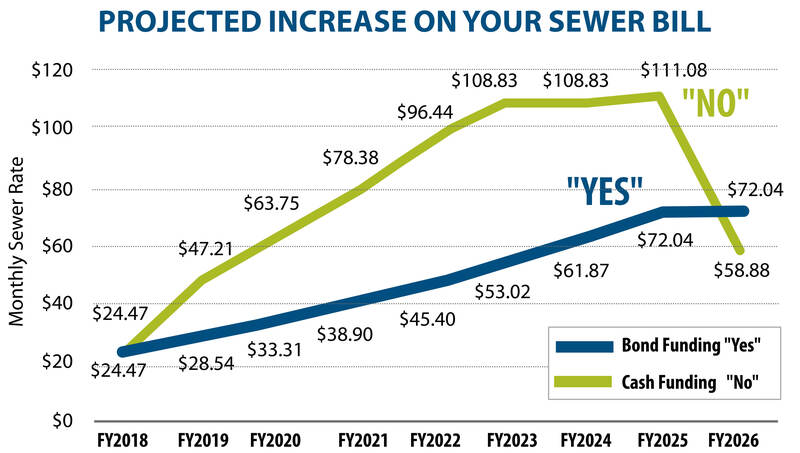 Pure cash funding (an “Against” vote) would mean immediate drastic rate increases in wastewater rates - estimated to nearly double an average residential wastewater bill in fiscal year 2019. The Nampa Chamber does not believe a doubling of wastewater bills in one year is appropriate or manageable. Nampa residents and businesses are not in a position for such a shock to their wallets. Even though bond funding will mean a slightly higher overall cost, it also means a more gradual and predictable series of wastewater rate increases over time. This is much more manageable from a planning and cash flow perspective for both businesses and residents. It allows Nampa to grow into some of these additional costs, rather than taking an immediate drastic blow. It’s important to note, this project is mandated and is going to happen. The vote determines how we fund the project – through a bond allowing our wastewater rates to increase slowly (yes vote), or pure cash funding nearly doubling the average wastewater bill (no vote). For these reasons, the Nampa Chamber recommends and supports an “In Favor” (yes) vote to approve the wastewater bond. The Chamber encourages its members and the public to review the details and background of the wastewater bond election at https://www.facebook.com/nampasewerbond.